ALn501 Minuetto DMU. One unit consists of 3 permanently coupled cars: One motorized in each end and a motor-less center part. 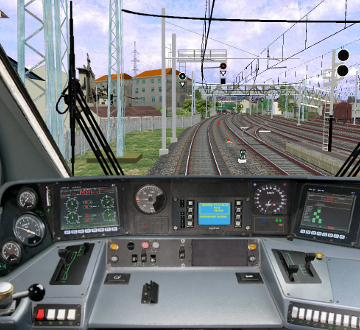 Very nice simulation with photorealistic driver's stand with 3 working MFD, moving levers and working indicators. The control of this train uses other keys than what is standard for OpenBVE. There is a readme file from the creators to explain this. Read it!